This position — that the adversary knows your system as well as you do, if not better, as soon as it is stood up — while extreme, led to the creation of large number factorization, the basis for all modern encryption, from PGP to RSA tokens. Under these encryption schemes, as long as the key is kept private, someone can know everything about how the security system works and still not be able to crack it. To get to a place of true cybersecurity, another stark innovation in thinking is needed. What is needed is an Inverse Shannon’s Maxim: the user knows nothing. Coincidentally, our CTO and I were having a conversation along these lines just yesterday. 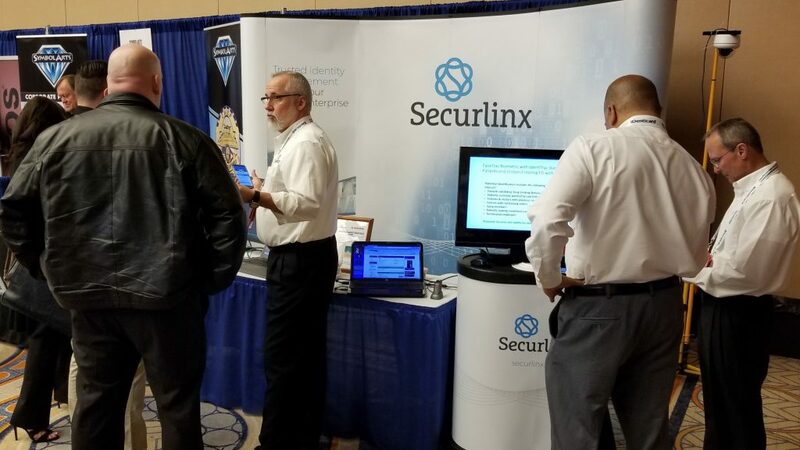 It’s a thrill a minute at SecurLinx! To counter the growing menace of terrorism, the Pakistan government has ordered all mobile service companies to acquire fingerprint scans of their subscribers before April 15. Subscribers failing to do so will get their mobile subscription terminated. Venture capitalists poured a record $2.3 billion into cybersecurity companies in 2014, a year marked by frequent reports of hacks on high-profile companies. Yearly investment in cybersecurity startups been on the rise for several years now, and is up 156 percent since 2011, according to CB Insights. The trend will likely continue, as 75 percent of CIOs surveyed by Piper Jaffray said they would increase spending on security in 2015. Brazil has embraced the digital age with more gusto than most. It is one of the top users of social media and recently signed-off on a bill of rights for the Internet, the Marco Civil. The country is also a leader in the development of online banking with more than 43 percent of web users engaging such services, and can be proud of a thriving software industry, including some world class companies. 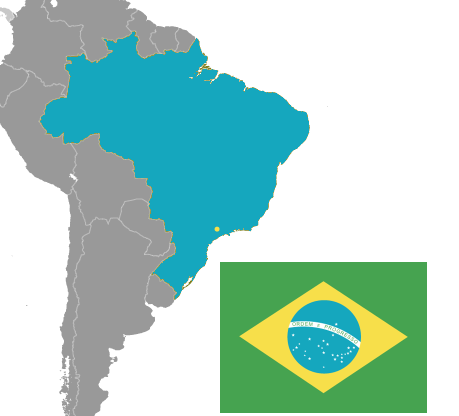 Brazil certainly is an interesting case. In the leaked documents, the CIA also expressed concerns over the impact the implementation of a biometric security system in the Schengen Area would have on its undercover operatives traveling under false identities, adding that it would “increase the identity threat level for all US travelers.” The Schengen Area comprises of a bloc of 22 European nations that have relaxed passport and border controls at their common borders. Biometrics can be used to suss out identity fraud among organized criminals. Biometrics also appear to be greatly complicating the activities of intelligence agencies to move assets from country to country. 2. 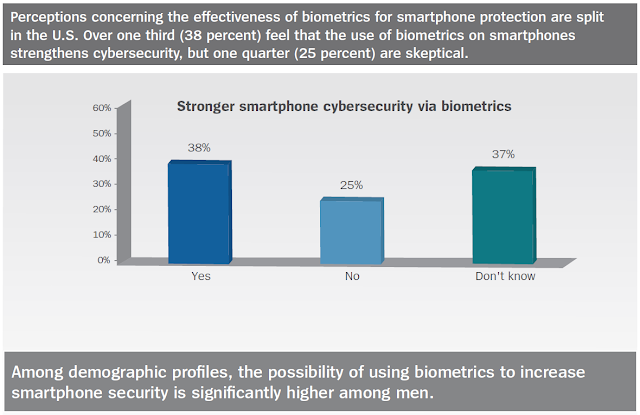 Biometric Identification – Mobile devices have biometric capabilities and in 2015 we expect that 15% of those devices will be accessed biometrically, and that number will grow to 50% by 2020. 5. Security SaaS – Enterprises will be utilizing security software as a service (SaaS) in a greater share of their securiy spending. By the end of 2015, 15% of all security will be delivered via SaaS or be hosted and by 2018 over 33% will be. 6. User Management – By 2016, multi-factor authentication will be the primary method of access control used by 20% of enterprises for highly privileged or otherwise sensitive accounts. There’s a lot more good information at the link. This steady consistent growth since 2011 has been driven by a combination of factors including strong growth in IP Video Networking and IP Access Control products, buoyant markets in Asia and North America and higher levels of penetration in vertical markets such as transport, retail, health and education. Access Control, for so long the poor relative of Video Surveillance, this year it has come out of the shadows and upstaged it by delivering a higher growth rate and we forecast that it will continue to increase its growth rate over the next 5 years. This will be achieved by moving to IP Technology and integrating Access Control with Identity Management. There can be no doubt about the business case for integrating these services. Identity Management for the purpose of Access Control has given rise to a number of major acquisitions in the last 5 years. September 2010 saw a flurry of activity with the purchase of L-1 Identity Solutions by Safran for $1.1 billion, 3M’s purchase of Cogent Systems for $430m, the merger of AuthenTec and UPEK. In 2014 whilst the number of deals declined, this group accounted for 19.2% of the total number of acquisitions and 5.6% of the total value. Access control through a standard card reader system is a weakness particularly at a time when risk of corporate theft, malicious damage to staff and property and terrorism has increased. The need for a more secure system incorporating biometric devices to authenticate identity and manage the process is becoming a standard requirement for new systems in high security areas. Physical Identity and Access Management (PIAM) is also a service that promises to deliver further growth opportunities. It enables common policy, workflow, approval, compliance automation and life cycle management of the identity / badge holder (employee, contractor, visitor, temps) across disparate physical security systems. The key benefit from PIAM solutions is operational cost reductions that can be delivered through this platform providing a bridge between the disparate systems, without stripping out and starting again. PIAM has so far failed to attracted the mainstream PACS business. There is a steady stream of alliances and partnerships between PIAM Software companies & PACS companies but so far we have not identified any mergers and acquisitions. Information on the business is pretty sparse and most “best estimates” on the market size range around $150 million. This if accurate is quite small considering that virtually all Fortunes Top 500 companies must have installed one. Now has to be the time to dig even deeper and for manufacturers to increase their efforts to align the motivation of security buyers to invest in better performing systems through educating and training both themselves and those in the distribution channel in order to drive out all the benefits. Whilst technology has been the enabler of change, the driver and motivator is now clearly to channel this to deliver products and services that increase productivity and provide a better ROI and reduce the TCO. This is gradually changing the buyers culture from believing that physical security is a pure cost centre to a profit centre. Security, sadly, is still regarded by most end users as a cost center and as such has been towards the end of the food chain for capital investment. This can be crucial when budget reductions are on the agenda. However a gradual change in attitude by buyers is taking place. Specifically that security can be a cost saver when reducing shrinkage (retail) and that when integrated with other services it can increase productivity in the business enterprise and therefore reduce operational costs. This has been made possible through IP convergence and in some vertical markets such as retail there is a growing belief that IP Video Surveillance should be treated as a profit centre. This has had a major impact on increasing the value-add on security projects. The market has not been slow to see the opportunities and changing requirements for more converged and integrated solutions. In order for companies to deliver such systems many have decided that it is necessary to acquire, merge or form alliances and partnerships with other suppliers. In order to maximize the opportunities of delivering on ROI it is vital for suppliers to have specialist knowledge and experience in vertical markets. But equally important is to have the networking skills to join all the vertical and horizontal layers of product together with the analytical software and interface with the other building services software and finally join them to the business enterprise. Video Surveillance is already on route to establishing an important role in the Building Internet of Things (BIoT) and the wider IoT. The password by itself actually is a pretty good tool. It is simple to use, easy to implement and can be reasonably strong. The problem is one of scale. For a user juggling passwords for multiple accounts and for administrators juggling many users, the system quickly becomes unwieldy, and strong security begins to break down. In addition, the steady growth in computing power erodes password security by making dictionary and brute force attacks more practical. Biometrics – the use of physical traits such as fingerprints, irises, faces or voices to identify persons – is more complex, but is becoming more practical. It offers the promise of better security based on the premise that there is only one you. Educating the supply side and the demand side of voter fraud in the Solomon Islands (Solomon Star News) — What gets through enrollment will most likely get caught in de-duplication. Going up? The overall smart elevators market is expected to reach $16.45 billion by 2018 — It’s about time elevators got biometrified.